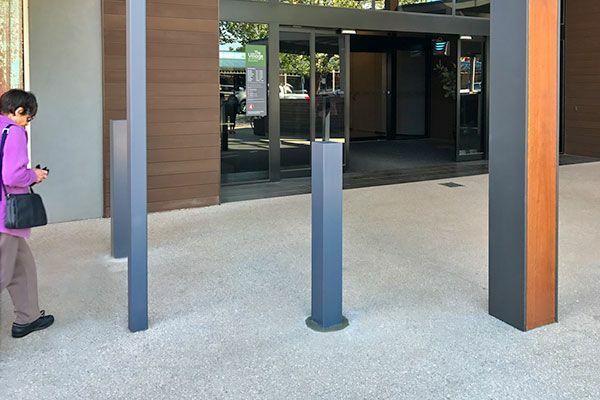 Our fixed, square surface mount and below ground bollards are designed for traffic control situations and asset protection. 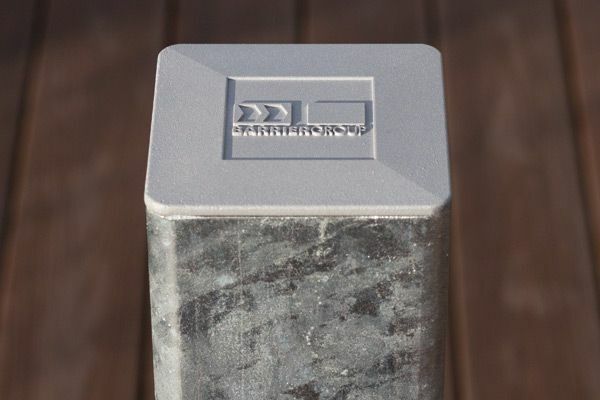 Optional chain rings are available for connecting chains or ropes to our bollards. Simply order with chain rings. Chain rings can also be purchased separately for retro fitting to existing bollards by drilling and tapping M10 threads as required. 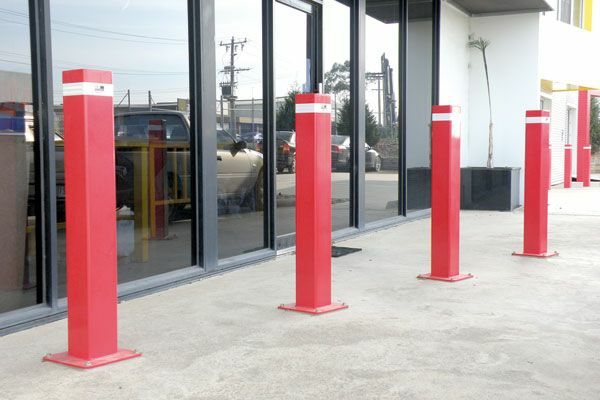 Fixed, square surface mount and below ground bollards are designed for traffic control situations and asset protection. 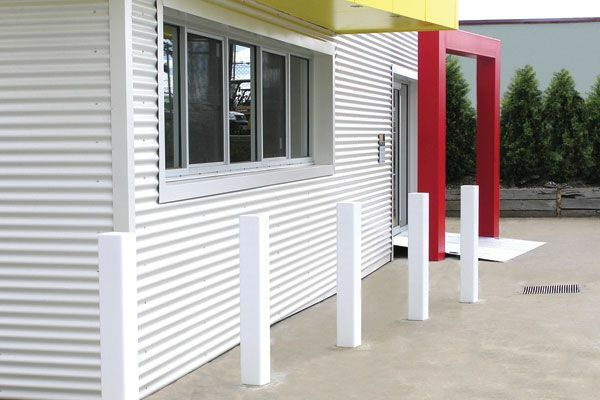 Surface mount bollards have fully welded base plates and are suitable for installation onto any concrete surface. 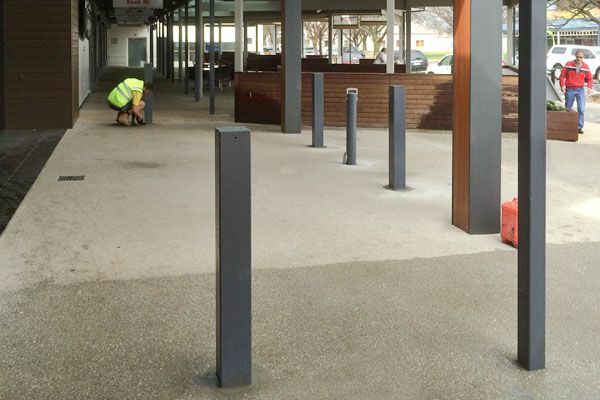 Below ground bollards have fully welded anchoring bars for installation into new concrete footings. 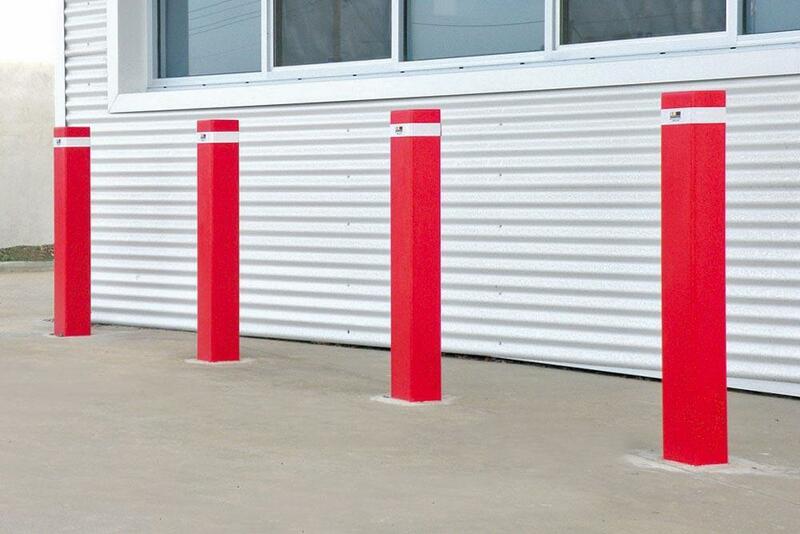 Suitable for installation in asphalt or any soft surface where a concrete footing will be necessary. 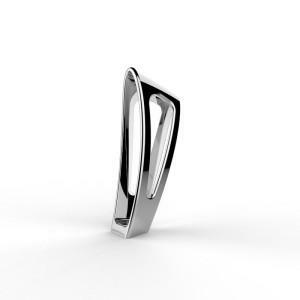 Manufactured from heavy wall mild steel. Standard Class 1 reflective band (for powder coated models only). 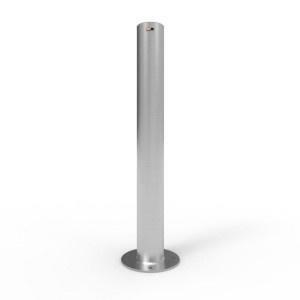 All our bollards are supplied complete with fixings. Note: All dimensions in mm. Finish: Hot Dip Galvanised (HDG) only/and Powder Coated (PC).